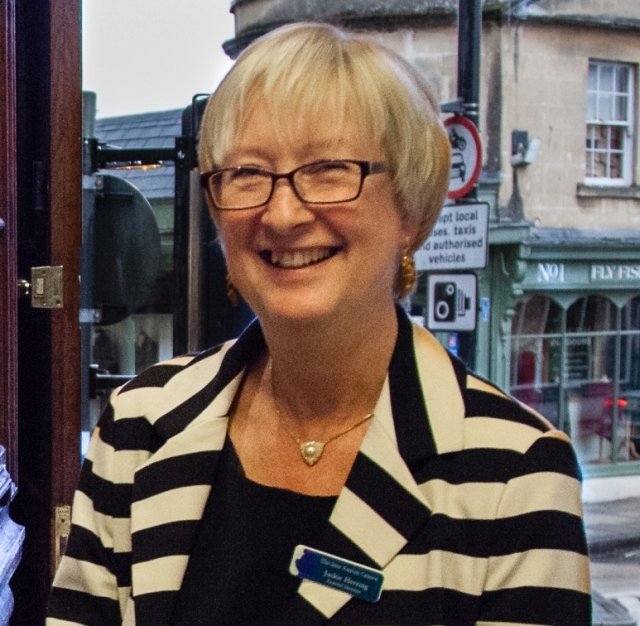 We are delighted this week to welcome Jackie Herring, Director of the Jane Austen Festival held every September in the beautiful city of Bath! With Bath and the annual Festival being the main setting for The Particular Charm of Miss Jane Austen, we are doubly excited to have Jackie as our special guest! As with all our guests, we were keen to know how and when Jackie first discovered Jane Austen, to hear more about the Festival and its organisation and to find out what the impact might be on Jackie if Jane Austen had never published her novels. When and how did you first discover Jane Austen and her works? I was introduced to Austen by my best friend when I was about 16. She handed me a copy of Pride & Prejudice and said “you will like this it is better than Jilly Cooper”. We had been working our way through Jilly Cooper’s girl novels. My friend was right! Which is your favourite novel and why? It probably is Pride & Prejudice but I love them all for different reasons. P&P because of the wonderful characters and the language. How I would have loved to say what Lizzy does to Lady Catherine de Bourgh (chapter 56 is my favourite) plus it is the only book that I have ever felt really sad about finishing because I would never again be able to read it for the first time! 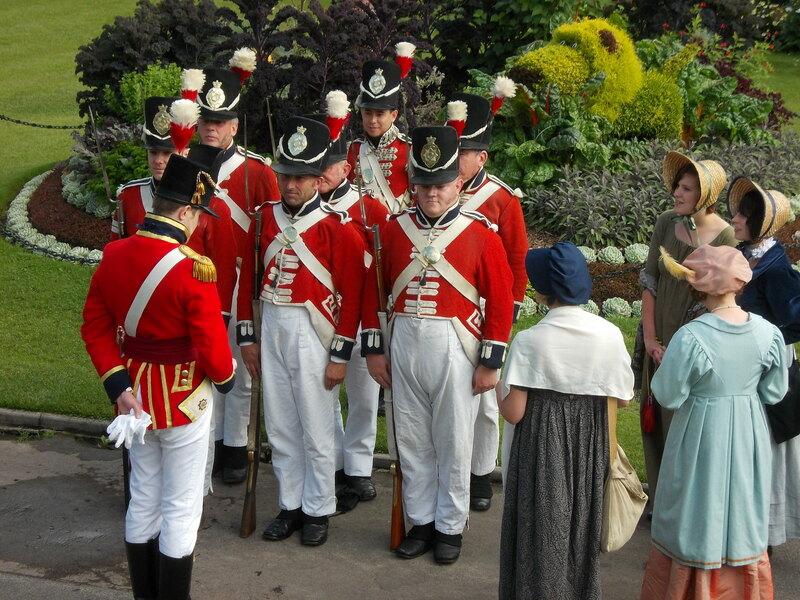 How did you become involved with the Jane Austen Festival? I started doing walking tours for the Jane Austen Centre in 1999, then worked in the Centre as Shop Manager and Guide. In 2001, when David Baldock created the first Festival, I helped behind the scenes and as a steward until 2008 when I took over as Festival Director. What is your favourite part of your role as Festival Director? And the most challenging? Very difficult question, because I love it all and particularly anything that is a challenge. I really get a kick out of when all the bits of a plan come together and the Festival starts. There are some very stressful times, usually in the planning stages. The most challenging event is the Promenade, where I have to deal with so many different agencies, including the Council for permission for us to cross the roads, use the park and disrupt the city on a busy Saturday! Can you share anything with us about how the Festival is organised, such as how many people are on your team, how many venues are used or anything else you think might be of interest to readers? My team throughout the year is very small, it consists of me and Rachel, my assistant. Then, at Festival time, we have lots of lovely volunteer stewards who give up their time to help. They are wonderful, and some keep coming back, for which I am really grateful. Most of the organising of the Festival is done by email, but we do have visits to the venues to check their suitability. 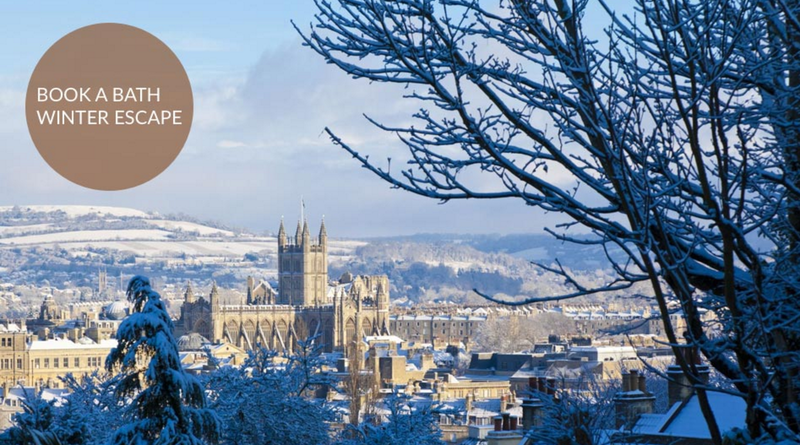 I like to try and use different places – this year we are using the Abbey Hotel, the Assembly Rooms, St Matthews Church at Widcombe and Bath Function Rooms. The Mission Theatre is the main venue for most events as it is easier to have a base besides I get a good deal on the hire price for having it for more than one day. All in all this year there are 17 different venues! Do you have any funny stories about past festivals – either during the preparation or the Festival itself? A lovely lady called Joyce (who used to come to the Festival every year and who sadly lost her husband recently) at her first Festival came to an event at The Mission Theatre in a gorgeous Regency outfit. Unfortunately the look was spoilt by a modern plastic hair roller in the very front of her fringe which she had forgotten to remove and which her husband, who had dropped her off, had failed to tell her about! She did take it out of her hair very quickly when we pointed it out to her! When do tickets for this year’s Festival go on general sale and where can they be purchased? 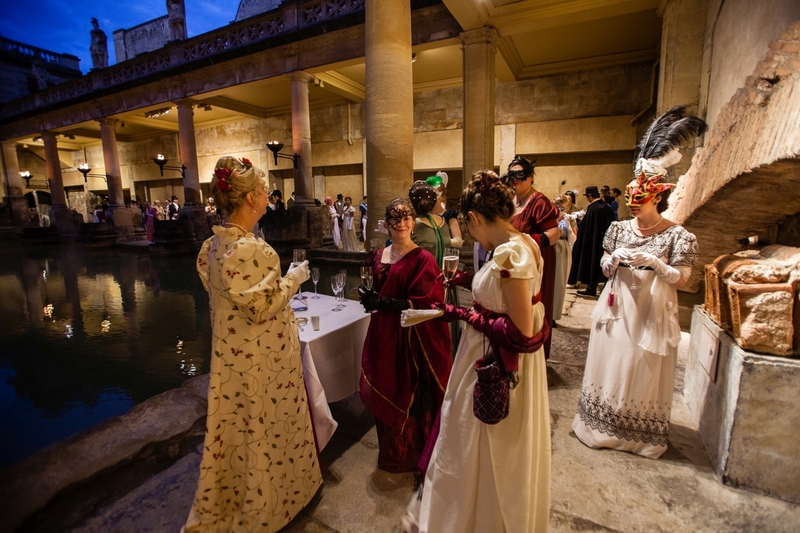 Tickets go on general sale on Wednesday, 6th July 2016 at 10.30am from Bath Box Office or via our website, Jane Austen Festival Bath, which has direct links for each event on sale. Finally, what would you be doing if Jane Austen had never published her novels? Since talking to you about your book, I have thought about what I would have lost without Austen in my life. I have so many friends through working at the Jane Austen Centre and Jane Austen Festival and long term friendships that I simply would not have had otherwise. Before my son was born, I worked for a firm of Solicitors as a Systems Administrator and then afterwards I took up part-time work at the Bath Chronicle, setting the adverts. I left that job to go to the Jane Austen Centre, but I also worked part-time on the open top buses. That was great fun and kept me on my toes, having to remember lots of information and also adjust what and how much I said to the traffic conditions and speed of the bus! The short answer is, I would probably still be on the top of a bus and doing walking tours but would have needed something more, so perhaps I would have also gone into the Tourist Information Centre or Ticket Office, something like that. That was fascinating, Jackie; thank you for sharing it with us! We appreciate you taking the time out of your busy schedule, especially as the Programme of Events for this year’s Festival has just been announced! This week, we’re offering two lucky commenters the chance to win giveaway prizes! NEW addition! A Jane Austen silhouette pin badge! There will be further chances to win bundles of prizes next month when we continue our series of guest posts on 20th July with a visit from Hazel Mills. Hazel is one of the founding members of the Jane Austen Society Cambridge Group and a regional speaker for the Jane Austen Society UK. It’s simple! Just leave a comment below about anything in Jackie’s interview above, or simply share how your life would be affected if Jane Austen had never published her novels. All those who comment will be entered into a draw to select the prize winners, which will be announced the following week. < Previous Week 4 Giveaway Winner Announced! Next > New Giveaway Winners Announced! it is amazing sometimes when you realize how much Jane Austen changed lives! For me, it is my love of reading. I think Jane Austen was my first ‘grown up’ read and she’s stayed with me all my life since then! I would miss her and all she has brought into my life so much! Good luck in the draw, Patricia! Hi Patricia, thank you for stopping in! I already had my love of reading by the time P&P came into my life, but I think there was something about just how good it was and yet, all it was was things I love – like romance and relationship – that was so impactful to me. I love mysteries usually that have a hint of romance, rather than straight romance because I love those subtle things rather than the full on “hit you over the head” with intimate details sort of romance. And JA gave me that wonderful beautiful subtlety without having to throw in a murder to solve ;). It was a pleasure to meet you, Jackie. What a blessing that you obviously love what you do. One day I hope to meet you in person as I plan to attend the festival in years to come. Hope! Hope! I know! Isn’t it great to hear from the wizard behind the curtain! And to find out she is a genuine fan of both JA and the Festival?! So often, it can be depressing to read about big events and find out the person in charge has been horribly mistreated or taken for granted and can barely handle it anymore. To see that no, Jackie has it under control, she has support when she needs it, and that she still loves it? Seriously it just makes the Festival all the more attractive! ooh..what would life be if Austen had never written her novels….first, I would have missed some of the marvelous places I visited because of her ( Chatsworth, Bath, her grave, etc) and second, my TBR pile would be a lot smaller without all the JAFF I want to read! Thanks for the interview and giveaway. I would dearly love to visit the Festival one day! LOL re the TBR pile, Theresa! I do hope you get to the Festival before too long! It’s so much fun and a lovely atmosphere and, of course, it’s in beautiful Bath! Thank you for stopping by and commenting, and good luck in the double draw this week! Thanks for commenting Theresa! Everytime we post one of these I think of more questions I want to ask people. Like, assuming the JAFF writers would have been inspired by something else if JA didn’t exist – what sorts of books would they have ended up writing?! Would we have a proliferation of Lord of the Rings books? Or… would it still be regency – just more Bronte inspired?? Shakespeare like Gabby mentioned? I wonder if I’d have more free time if Jane Austen had not published her novels? I spend so much time reading her books as well as fan fiction…. That’s a very good point, Lynn! Thanks for stopping by and good luck in this week’s draws! Fabulous to hear you’re planning to go to the 2017 Festival! I’m going to be there for the whole 10 days next year! Thanks as always for the support and the kind words! Hope you enjoy the read! Thank you so much for doing this blog post for us Jackie! The idea of keeping on top of 17 venues sounds frantic to me, but clearly you love a challenge. Thank goodness you’re in charge and thank goodness the Jane Austen fans of the world come in and help out so willingly for the actual festival. It’s the people that we’d lose without Jane Austen that seems to be the common denominator about what would change without her work. And perhaps, if these people that we’ve met and loved thru JA’s work would have been exactly the same without her world in our hearts? Thank you for stopping by again! Good luck in the draw, and I share your thoughts on the loss of the people I would no longer know. I completely relate to the feeling of being sad because you’ll never be able to read a book for the first time again. I get it fairly often! … Also, want to say my favorite part of this blog is the name! The Tabby Cow. Incomparable! I relate to that feeling too, Bonnie! I would love to discover the entire Harry Potter series again now all the books are out as well! Thank you for commenting and good luck in the double draw this week! I wonder if there’s a word for that feeling. Because it’s such a weird fascinating emotion, this rush to keep reading and yet knowing that the faster we read the faster the end will come. :*(. Thanks for commenting bonnie! I loved the anecdote about Joyce, poor dear! The festival behind the scenes was lovely and really makes me want to attend next year! I agree with a prior poster that without JA I’d likely have lots less on my to read list! No jaff? thanks for this interview! I really enjoyed hearing what Jackie had to say about how the Festival is organised too! Hope you get there next year, and let me know if you do, because I’m definitely going to be there! Thank you for stopping by Nicole, good luck on the giveaway draw! The first Jane Austen novel I read was Northanger Abbey at college and I didn’t get on with it! However, after my mum showed me the 1995 adaptation of Pride and Prejudice I began to understand the social graces and language better. After that I just fell in love with all of her novels and works! And I even love Northanger Abbey now too! I was lucky enough to visit Bath about four years ago and I hope that one day I will be able to attend the festival as the events look amazing in the pictures. You do such a fantastic job. I totally understand the need sometimes to see an adaptation before being able to appreciate the books! That happened to me with the Lord of the Rings. I got along fine with The Hobbit as a child, but I found the trilogy really hard going until I’d seen it visually represented! I hope you get to come to the Festival in 2017! It will be such a big year for Jane Austen fans worldwide! Good luck in the double draws! As much as I love all the novels, I need those film adaptations to tell me when I’m missing a British joke! Best friends with a Brit for 15 years and still don’t always realize when I’m supposed to laugh in a novel. Don’t tell anyone, it’s shameful! I’ve everything crossed as many of us as possible can make it to the Festival next year with it being such a big year in the Austen world! Friendships can be so strong when formed on a common interest. Great interview 🙂 I live in the US so not sure if I can enter but thought I’d comment. So pleased you stopped by to enter and so pleased you enjoyed the interview. Remember, I’m in the US too! So we’re a worldwide operation! I “discovered” Jane Austen just 10 years ago at the age of 40. For some reason she was just what I needed at the time and has been a constant “companion” ever since. After exhausting her books I moved on to JA FanFic and it’s provided me many escape opportunities and hours of enjoyment. I’m not sure what my last 10 years would have been like without Jane. Who knows? Perhaps I would have learned to skydive or become a world class photographer… But more likely, I’d have simply missed out on the beauty of Jane’s writing as well as the authors she inspired. THAT would have been a real loss. Amy, for me this shows how Jane Austen can enter our lives at any time and still have a profound impact! I’m so pleased you discovered her writing at a time when you needed it (and her!) Thank you for commenting and good luck in the double draw! I think it’s a bonus to have had the discovery a little later on! And yes! Fanfiction is just icing on the cake! I agree, Kathrin. She has touched so many lives in so many different ways! I’m so impressed you have participated so many times! Bless you! I do hope you get to the Festival soon! GOOD LUCK!!! I hope you get to Bath too, it is SO worth it. That’s a lovely invitation, Janis! Thank you for supporting the guest blog posts these last few weeks! I hope you do get to the Festival one of these years, but I think 2017 might be one to aim for if you can! Good luck in the double draws this week! Thank you so much! I feel enriched by these guest blog posts myself! 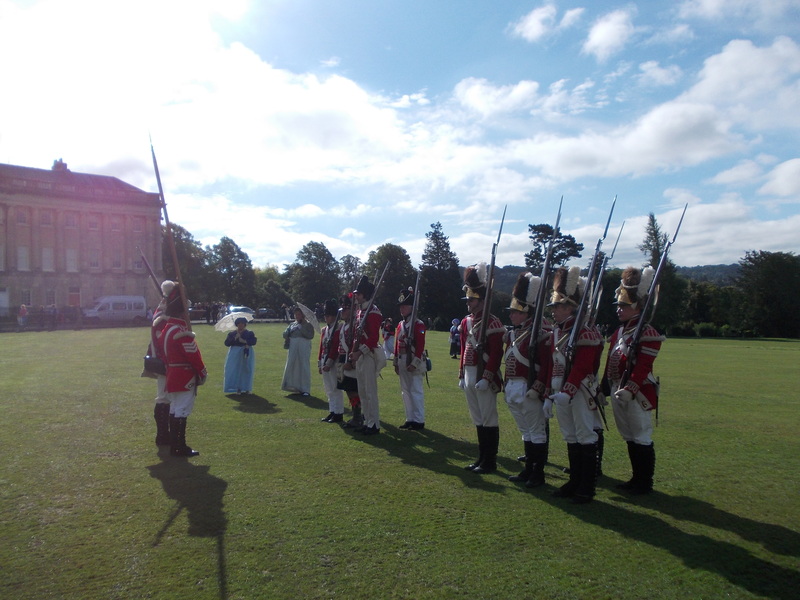 I loved reading your post about the Jane Austen Festival! Jackie, you have an amazing job 🙂 . I had no idea there was such a big festival; it sounds like a lot of fun. 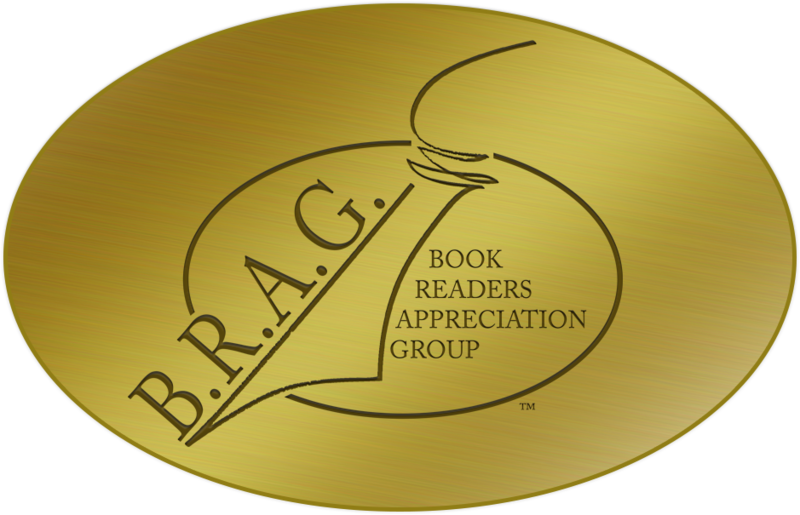 Thanks for offering this great giveaway – the prizes look fantastic! Isn’t it an amazing job? I’d love to do something like that, something I felt so passionate about. Going to work would be no chore at all! Unlike Cass I would NOT like to do anything like this because organizational and planning things make my brain bleed. But that just makes me more impressed with the people that not only do it well, but enjoy doing it! Thanks for stopping in!!! I am hoping to one day make it to the Jane Austen Festival. I know that my life is richer for having made so many friends who love Jane Austen. I would be lacking and never have realised it if Jane had not written her books. So true for so many of us! Thank you for commenting! I hope you get there too, Debbie! Thank you for stopping by and good luck in this week’s double draw! 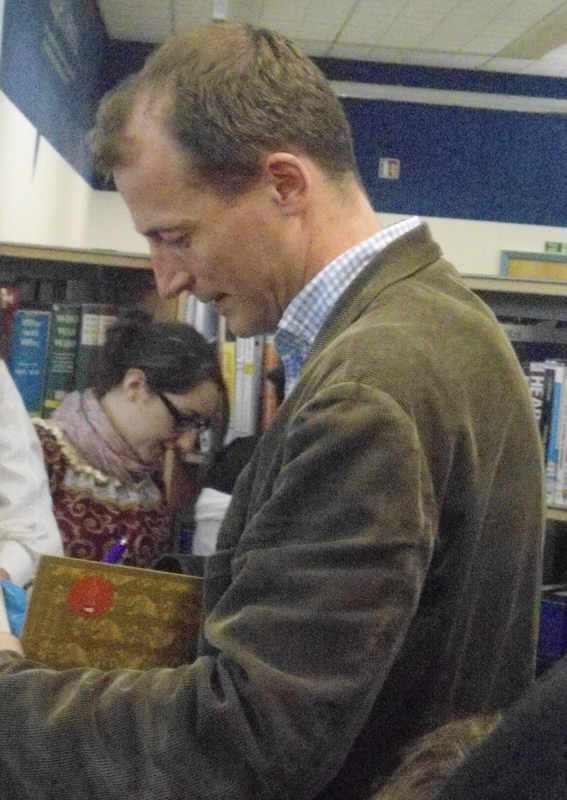 To organize such an event not only takes dedication but passion…passion for Jane Austen! Thank you for the insight into the festival. It is amazing that you and your assistant are the main team but I can well imagine the volunteers who keep returning year after year due to their love of Jane as well. Maybe one day I will be able to attend…sigh. I’d love to see you there, Carole! I am only going to the opening weekend this year, but I plan to attend the full 10 days in 2017! Thank you for coming along to read Jackie’s Interview and good luck in the double draw! I am sure the event would be even better with you in attendance!!! Thanks for commenting!! I’m in awe of people who organise huge events like this. One day, I’d love to make the journey down to Bath for the Fesival. I very nearly went to University in Bath way back in the 70s, but wasn’t very keen on the University itself, despite the attractions that the City of Bath itself offered. Still, as I met my hubby at the Univeristy where I eventually went, I can’t say as I have any regrets. Good luck with this year’s Festival, Jackie, and to Cass and Ada for the launch of your fascinating sounding book! I hope you get there, Anji! I’m only going to the opening weekend this year, but I’m planning on doing the whole thing next year with 2017 being such a special year! Good decision on not going to Bath in the 1970s! It was obviously meant to be that you would go where you would meet your husband! Thank you for the good wishes and support! It’s much appreciated!